With a couple of weeks before the start of practice for the 2014 high school football season, Varsity Sports Network’s Derek Toney takes a look at the regular season itinerary for select area teams. 2013 review: The Cardinals suffered their worst season since 2008 (4-7) last fall. The Towson school will try to rebound in 2014 with more than 30 returning letterwinners scheduled back. Toughest 2014 opponent: McDonogh School. The Eagles enjoyed their finest campaign in 2013, winning the MIAA A Conference title and were the consensus No. 1 team in the area. The Owings Mills school is likely the team to beat this fall with reigning VSN Defensive Player of the Year and Purdue University commit Wyatt Cook leading the way. Most intriguing 2014 opponent: Irvine. The California school will trek more than 2,300 miles to open its campaign against the Cardinals. Irvine has won four CIF (California Interscholastic Federation) state championships. By a number: 4. Games Calvert Hall allowed 30 or more points in MIAA A play in 2013 after none in 2012. Aug. 29 vs. Irvine (10-3 in 2013)…Cardinals welcome Los Angeles-area squad which reached CIF Southern section semifinals last year. Sept. 5 vs. Franklin (12-2)…Cardinals gained first 2013 win against Indians, who went on to win Class 3A state title. Sept. 12 at Good Counsel (6-5)…Perennial Washington Catholic Athletic Conference power topped Calvert Hall last fall in first meeting since 1976. Sept. 19 at John Carroll School (4-6)…First matchup against Patriots since 2008. Sept. 26 at Archbishop Spalding (8-3)…Cavaliers got first win against Calvert Hall last year since joining the MIAA A.
Oct. 10 vs. McDonogh School (11-0)…Eagles gained first victory since 2009 with 48-13 pounding last fall. Oct. 18 vs. St. Frances Academy (5-7) at Patterson Park…Panthers gained first MIAA A win with 32-20 decision over Calvert Hall last season. Oct. 31 vs. Gilman School (7-3)…Cardinals have lost last five decisions. Nov. 8 at Mount St. Joseph (2-8)…Calvert Hall has outscored Gaels 142-39 in last five meetings. 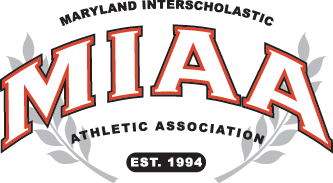 Nov. 27 vs. Loyola Blakefield (3-8) at M&T Bank Stadium…Dons ended Cardinals’ four-year run with overtime victory in 94th Turkey Bowl last Thanksgiving.